Once we met gigabit mark there was no speed progress for end users desktops in enterprise environment. While Data Centers and Service Providers adopted 10G technology and beyond. and last but not least – it’s quite costly to update your cable infrastructure to support 10G speed as it requires, at least, Cat6 UTP cable and still probably won’t meet desired range between workstation and closet. Probably one among a few useful scenarios to deploy 10G at access is traffic heavy video editing which is rare to meet. Apart from it, there is no much data transferred towards or between desktops thus even gigabit links stayed unsaturated. Until now. The growing demand for mobility and the increasing number of Wi-Fi enabled devices require fast pipelines to ensure smooth user experience. 802.11ac standard appearance is a response to these demands. While using 802.11ac Wave I access point with Gigabit uplink shouldn’t be a concern (written in Russian, use your fav. translator) upcoming release of 802.11ac Wave II access points and adoption of 802.11ad standard would definitely bring a bottleneck issue to the table. 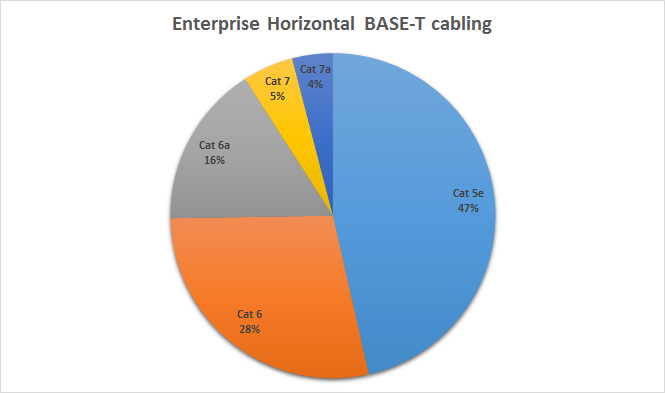 Here comes the savior – NBase-T.
NBase-T is a technology which allows pushing 2.5 Gbps and 5 Gbps through old fashioned Cat5e and Cat6 copper line while supporting all PoE standards up to 60W. NBase-T leverage 10GBASE-T PHY technology. NBase-T is splitting it in fourth and by changing modulation allow to pump more speed through the pipe. Altogether it allows to evolve beyond 1G limitation over Cat5/5e cable without need to perform costly infrastructure update or pull second cable to support growing wireless speeds. NBase-T is being supported and promoted by NBase-T alliance.